This second installment in the ongoing series on the history of the St. Augustine Lighthouse begins with the construction of the current lighthouse in 1874 and takes us to the story of William Harn and his family, the first head keeper’s family to live in the current Keepers’ House. By 1874, the lighthouses popping up along the Atlantic Coast dwarfed the Old Spanish Watchtower. Because the effective range of a beacon increases as its height increases, replacing the old tower with a taller one solved the problem of eroding shorelines while improving visibility and safety along the St. Augustine coast. Placed more or less at sea level, Atlantic Coast lighthouses required significant elevation to ensure their lights were visible a sufficient distance. As the Atlantic Ocean crept toward the old lighthouse foundation, the Lighthouse Board began planning for its replacement. Congress appropriated $60,000 to acquire land and build a new lighthouse. After purchasing a 5-acre tract a half mile from the old tower, the Lighthouse Board chief draftsman Paul Pelz submitted the new tower’s architectural design. Pelz would go on to gain fame as the designer of the Library of Congress. In June of 1872, Hezekiah Pittee, as Superintendent of Lighthouse Construction, began work on the new tower. Funding shortfalls delayed the project and by 1873, Pittee only had 42 ½ feet of tower completed. Work wrapped up in 1874, with “the fittings of the oil and work rooms, casing the windows and doors, giving the outside of the tower another coat of color, and grading and paving around the tower” being the last few tasks before the tower was ready for service. The total cost of construction was $100,000. So reads the Keepers Log entry for October 15, 1874 as recorded by Keeper William Russell. The current lighthouse rises to a full height of 165 feet, 95 feet taller than the old tower. The signal from the current tower stretches out almost 17 miles to the horizon, extending more than 6 miles past the outer reaches of the old tower’s beacon. The elevation of 5-15 feet sailors would enjoy on the decks of their vessels would increase the lighthouse’s range by another 3 – 5 miles. Russell replaced the broken glass and installed a netting to protect them. Though doing nothing to prevent the death of the birds, the netting did protect the lens. In one case, the keepers even collected 20 ducks that dashed themselves against the netting, providing food for the families. Many other lighthouses reported bird strikes during the 19th century as well. Despite its history, birds no longer strike the St. Augustine Lighthouse. Following William Russell’s departure, the Lighthouse Board promoted Assistant Keeper Francis Phillip Fatio Dunham to Head Keeper. Dunham did not last a year, as William Harn replaced him on November 18, 1875 arriving with his wife Kate and five daughters. Harn transferred from Charleston, SC where he served as lighthouse keeper at the Morris Island Range Lights. In addition to his previous tenure as a lighthouse keeper, William Harn had a long history of service to our country. Born in 1835 in Philadelphia, PA, William Harn’s early life is mostly unknown to us. We know he joined the army in 1854 and began his career at Fort Monroe in Virginia. Two years later, the army transferred him to Fort Dallas at what is present-day Miami, FL where he participated in the Third Seminole War. Following the conflict, Harn transferred again, this time to Fort Moultrie in Charleston, SC. 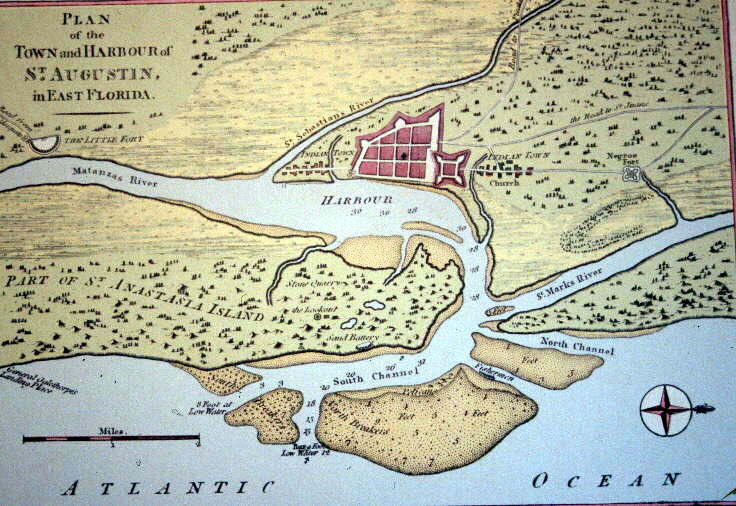 During his time in Charleston, Harn met a young woman from Maine named Katherine “Kate” Skillen, whose father James was Ordinance Sergeant at Castle Pinckney, another small fortification in Charleston Harbor. Evidence of their budding relationship shows up in a Charleston Courier classified ad from February 13, 1859. We do not know if Harn ever recovered the vessel bearing his sweetheart’s name. With Kate across the harbor at Castle Pinckney with her family, the boat would have been quite useful in bringing the two together. From 1857 to 1861, Harn served as a Sergeant, first at Fort Moultrie then Fort Sumter, until the secession of South Carolina from the Union in 1860 found Harn, his fellow soldiers, and Kate occupying positions in what had become enemy territory.